One of the basic processes happening during tissue regeneration is transformation of epithelial cells into mesenchymal and the other way around, mesenchymal cells into epithelial. The term is epithelial-mesenchymal transition. The picture above shows the difference between these two basic cell phenotypes. Note, that there are no other ones in multicellular tissues. Epithelial cells are bound tightly to each other and to extracellular matrix. The extracellular matrix is the basal lamina, which serves as a sort of bed for epithelial cells, which form a “topping”. Mesenchymal cells are located within a 3D extracelllular matrix. They are bipolar, which means they have different cytoskeleton arrangement and distinct organelle distribution inside them. For example, mesenchymal cells have lamellipodia at their leading edge. These structures help them migrate inside the tissue. 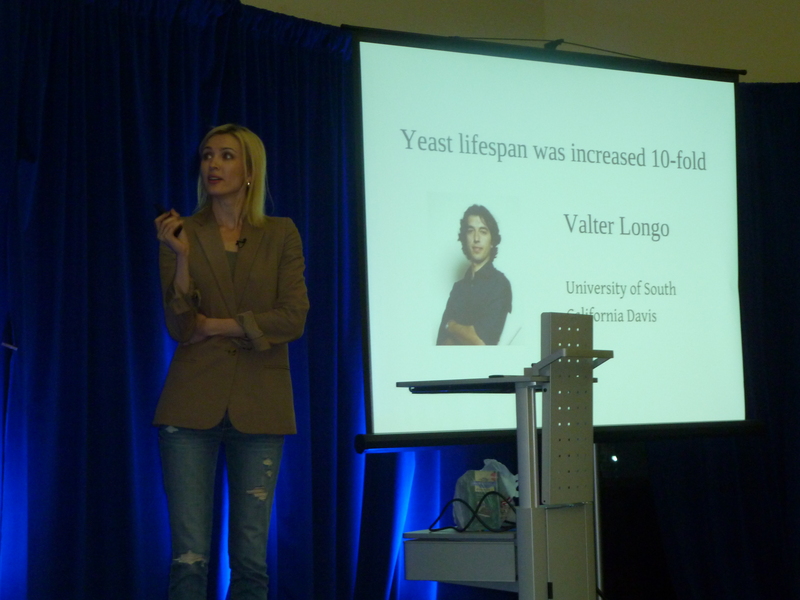 Last week I gave a talk at the Singularity University about how we can extend life. Those who have never heard about the Singularity University, should definitely check out what the SU is all about. 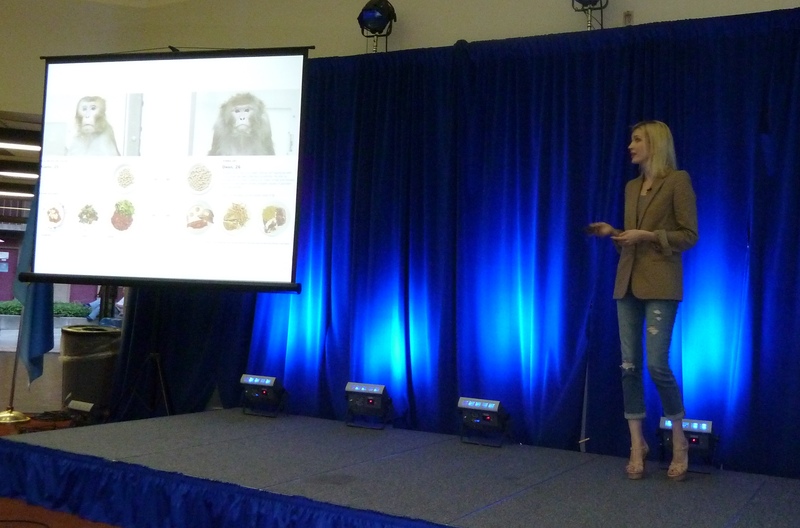 I talked about the current records in life extention achieved in model animals, overviewed the main scientific approaches to fighting aging and looked at why activation of stress resistance genes may be a very good idea for extending our longevity. I wrapped up by noting the potential profitable business side of life extension, which is creation of geroprotective drugs. You can find the presentation “The Best Strategy for 5,000,000,000 people” here. A couple of pictures from the place where great ideas and poeple are mixed together with the common goal of transforming the humanity. Although, it’s such a pity that life extension doen’t get much attention. Over a 16-year period, Panagiotis Tsonis at the University of Dayton, Ohio, and colleagues removed the lenses of six Japanese newts (Cynops pyrrhogaster) 18 times. After each excision, the lenses regenerated. They did so not from remaining lens tissue, but from pigment epithelial cells in the upper part of the iris. There was no documented decline in regenerative capacity neihter due to aging, nor to repetition. Unfortunately, the authors don’t discuss possible mechanisms underlying such an extraordinary capacity. This absolutely has to be studied, because these mechanisms, when identified, may shed light at how we can manipulate mammalian and human cells in order to trigger at least somewhat similar effects. I find restoration of own regenerative capacity to be a very potent way of extending our lives, therefore this work in newts and other animals with fantastic regenerative abilities has to be continued and multiplied. Any ideas about how this may be done are welcome.